This is a prop for the prince in the 2014 movie “Beauty And The Beast” (trailer). Happened in a straight forward process: I received a detailed description. Then made a pencil sketch – and afterwards painted over it digitally. 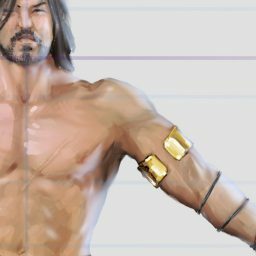 The pencil sketch of the design. 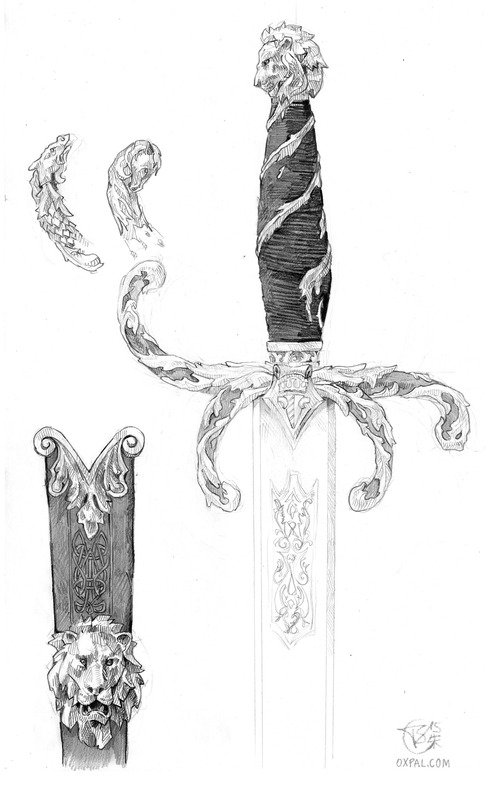 Design for the “beasts” sword, with golden ornaments.